Article written by Aleta George and published in the Spring 2018 Solano Land Trust VISTA Newsletter. Photos in this blog post provided by Access Adventure volunteer, Tom Muehleisen. 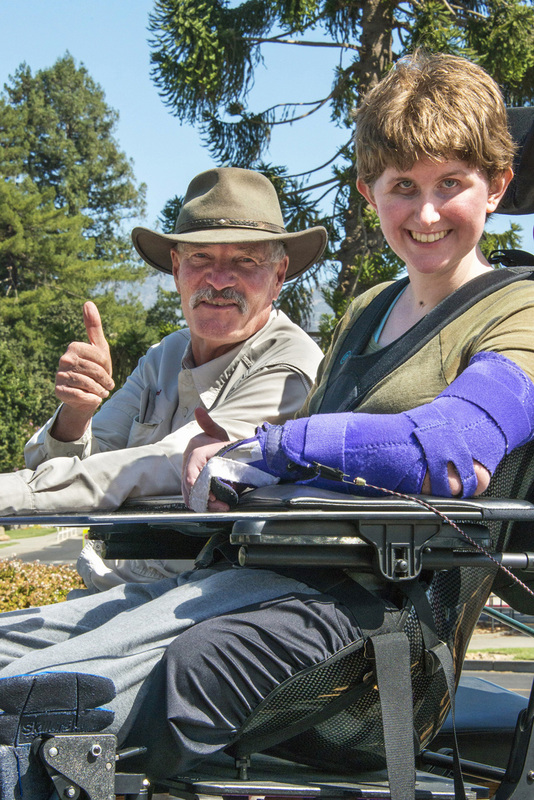 Our daughter, Stefanie Putnam, has been pursuing the therapeutic driving program at Access Adventure for the past year following an injury in late 2009 which left her a C4-5 quadriplegic at the age of 25. This program, and the wonderful, dedicated staff at Access Adventure have been without question the single most important positive factors in Stefanie’s life and outlook post-injury. 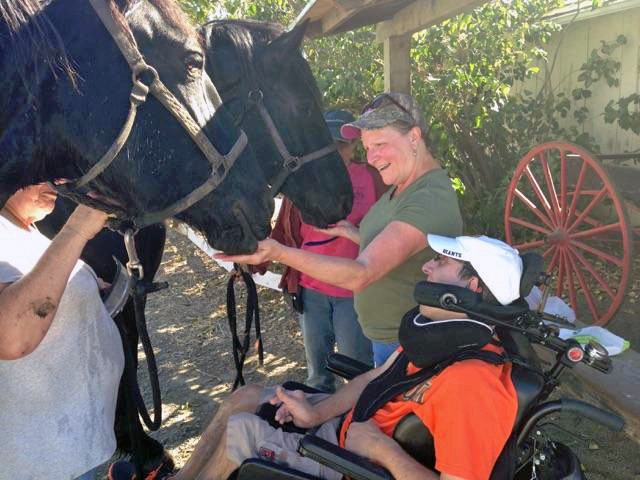 Access Adventure has given Stefanie the opportunity to experience the restorative powers of being in nature and working with horses which would have been impossible in other types of therapeutic equestrian programs given her level of disability. She is able, for a precious moment in time, to enter a world where her disability is not a factor – which allows her to feel normal, joyful, and connected again. 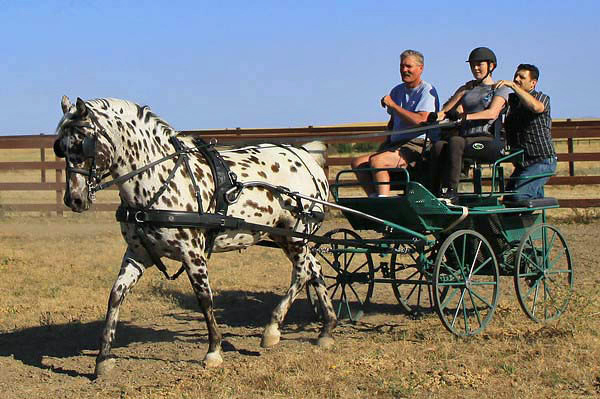 Stefanie has commented that when she is driving the team of horses, it is the only time when she is so totally engrossed that she can forget the physical limitations and constraints that she now has to deal with on a 24 hour basis. I cannot stress enough the impact, the importance, and the credibility of the work that Access Adventure is doing in the community through its many different programs and initiatives. I get a small insight every week into the impact of their work seeing the beaming faces of so many wonderful individuals who are participating and benefiting from this outstanding program – gaining in self-confidence, learning teamwork, and rising above adversity. Michael Muir’s leadership and visionary skills, his expertise and passion have attracted great interest from other groups across the United States interested in developing similar driving programs. This is a remarkable organization which is truly making a difference in the lives of people with disabilities, but also in the lives of all who have the good fortune to be associated with them. Stefanie Putnam came to Access Adventure after suffering a terrible accident that left her quadriplegic. This beautiful young woman was an accomplished equestrian who deeply missed her connection to horses and life outdoors. 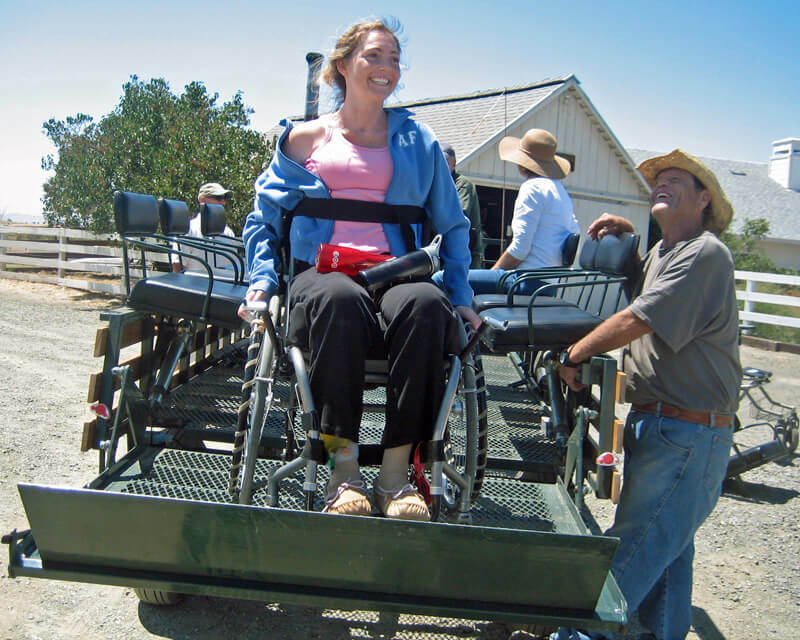 The innovative techniques of Access Adventure brought Stefanie aboard our carriages in her wheelchair and allowed her to learn to drive horses, despite her profound disabilities. Michael gently guided her away from getting back in the saddle and encouraged her to learn to drive horses. Under his care she began competing in Combined Driving, enjoying an exciting life. She has never looked back and is now setting her sights on trying to qualify for the US Team for the World ParaEquestrian Games. William Stewart was a student from Golden Hills School. Living with Cystic Fibrosis he was not expected to see his fifteenth birthday. 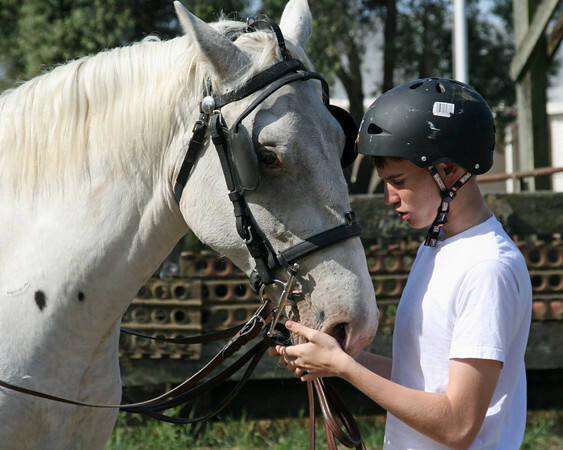 He learned several new skills including handling, grooming, harnessing and riding horses. It was therapeutic for him because of the severity of scoliosis in his back. According to his teacher skills William learned are not easily taught in the classroom setting and he was given “access” to his own sense of self-esteem. He thrived in the Access Adventure environment and graduated from Golden Hills School and 2008 was our Volunteer of the Year. Using his work experience with Access Adventure he obtained a job that he loves in the wine industry in the Napa Valley where he works today. Thank you so much for a very enjoyable afternoon at Rush Ranch! When we visited the ranch we weren’t sure what to expect. 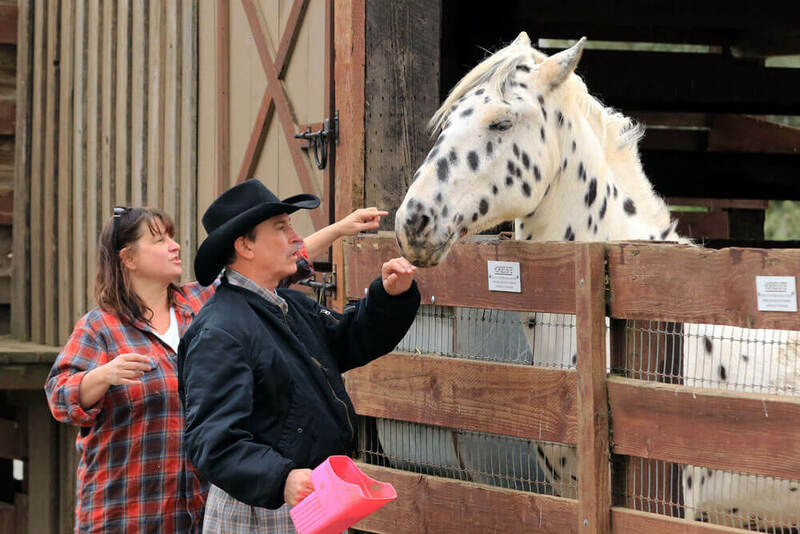 Our experience couldn’t have been better-from the very first and positive impression of the ranch, to the terrific volunteers, to meeting Michael. We had a beautiful ride! When we saw Jamie’s face when he felt the reins in his own hands…it was all fantastic! Your vision for Rush Ranch is a beautiful one and we wish you continued success! 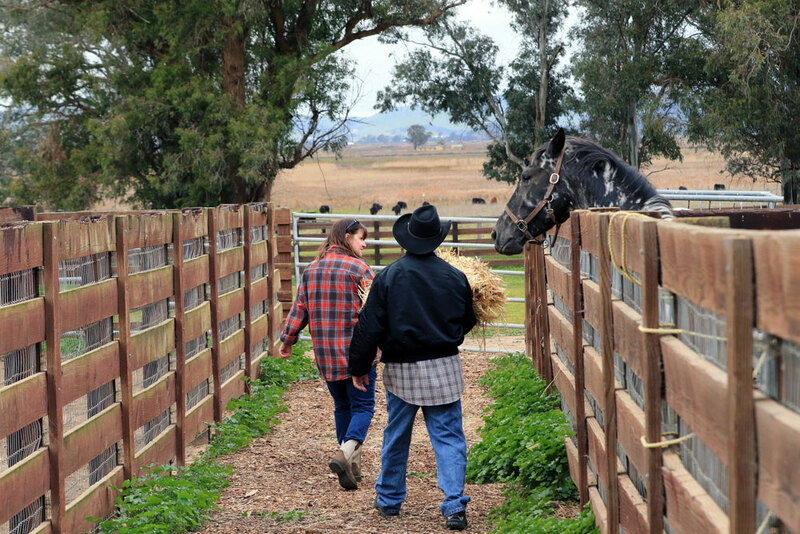 I we all want to visit Rush Ranch again and again. Jamie is looking forward to driving a team again! Honestly, we can’t wait to come back! From Jeremy White’s mother, Deb Kappler. Twenty year old Allison Angove has joined her friend Mario Scharmer as an Access Adventure Therapeutic Driving student. In April 2009 Allison was competing in a three-day equestrian event in the Stadium Jumping warm-up arena, when for some unknown reason her horse fell with her. The helmet she wore was not enough to protect her from a severe traumatic brain injury. Mario first met Allison’s parents at a Traumatic brain injury Support Group Meeting, and shortly thereafter at a book signing for Christine Scharmer’s book, “Raising Mario Twice.” Allison’s parents were inspired after reading the book and made arrangements for Mario and Allison to meet.